In the rapidly growing software development industry, trends change so fast that you can often feel left far behind. In the tech world, where customers require high-quality personalized experiences, companies are expected to predict the next move of their audience. Although there’s always something new on the horizon, with the currently available technology, when you can get hold of almost any information with the help of a tiny gadget that can be fitted to your wrist, anyone with a mobile or wearable device (2.1 billion users) has access to your business proposals. Four big trends shaped application development last year: smart mobile apps, AR/VR, Blockchain, and data science. The year 2017 is over now, and we’ve prepared a short article about tech trends that had a great impact on business development strategies and customer experience as such. Application development is becoming the main revenue-generating engine of most online and offline businesses. 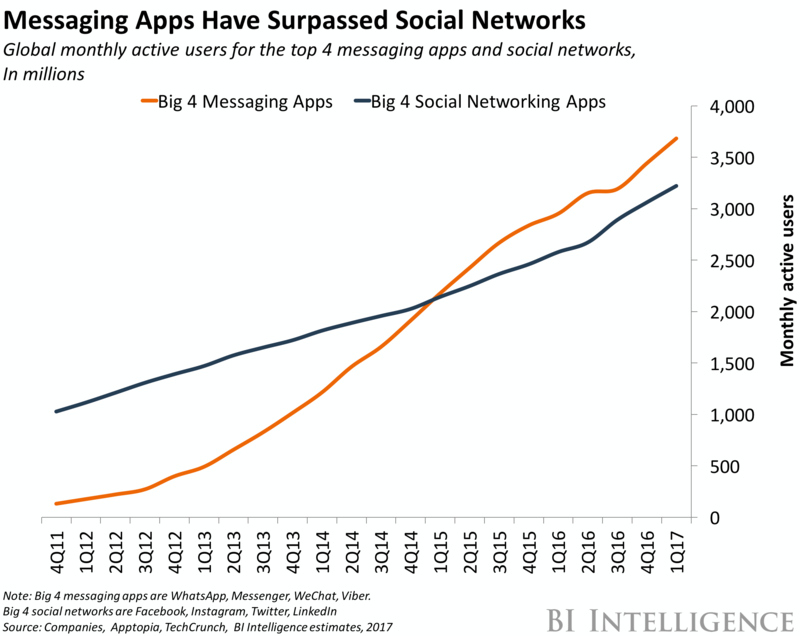 And messaging apps are getting bigger than any other kind of mobile apps including social networks. The largest messaging services have hundreds of millions of monthly active users, and they are growing into something more than just messaging platforms. One of the key contributors to such growth is the rise of chatbots. In 2017, more companies focused on building up intelligent services on the base of chat apps. Smart mobile applications focus on the provision of a new level of communication, hence, customer service. Modern online brands (like Sephora, H&M, Spring, or Uber) have already recognised that chatbots can meet the needs of their audience. Chat-based app development has become more accessible since the barriers to enter this niche started getting lower in 2017. The growth in the use and accessibility of new technologies has brought this year a lot of changes. The power of data is growing in significance in all tech industries. Businesses receive tremendous amounts of data every day, usually unstructured and complex to analyse. Basically, big data science is a set of tools and methods aiming to process large amounts of information. Big data is just a tool, and there are a lot of fields where this tool can help yield significant results. The growth of revenue, the effectiveness of marketing campaigns, improved customer experience are just a few benefits to mention. Last year finally unveiled the importance of data science as more and more enterprises migrated away from centralized data analysis organizations. A lot of businesses now prefer to embed data scientists in their software development business teams. Digital technology platforms offer initial building blocks for digital business development. In 2017, Blockchain found its way to the market, being the second most-searched-for term on Gartner.com. It has grown by 400% in the last year, which proves that interest in blockchain technology is increasingly rising. Basically, blockchain is a digital system for recording and tracking data and transactions between parties without relying on trust and/or an intermediary. “For an executive in charge of the sourcing strategy, the key point is that blockchain can be used to create a tamper-proof ledger that organizations can trust as a record of transactions,” said David Groombridge, the research director at Gartner. Despite a huge interest in distributed database technology, there are still many challenges exist. 2017 can be called the year of data and content, and VR/AR contributed to it significantly, making content more perceptible, increasing engagement. VR and AR allow customers to interact with any given product or service on a new, much deeper, level. We’ve already described how Virtual and Augmented realities are changing business earlier in our blog. Augmented reality technology allows camera display to show a real world picture with additional digital objects on top. Meanwhile, virtual reality technology offers to immerse the user into a virtual world with the help of a headset. 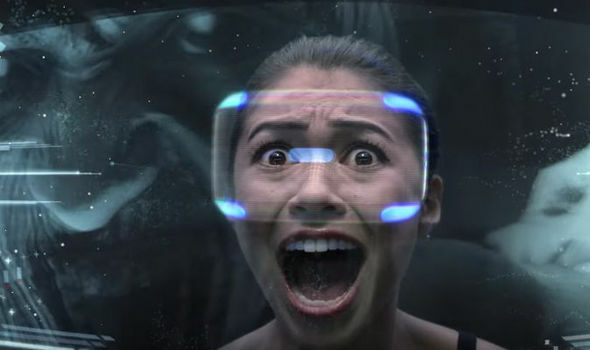 We already saw some big steps forward for AR and VR in 2016. The famous Pokemon Go game and Snapchat instant messaging app are considered to be the main drivers of the recent AR popularity. Since Pokemon Go was launched in July 2016, it has been downloaded more than 650 million times. Snapchat has pushed AR into people’s daily lives, having already 166 million daily active users. Today, the world of AR is expected to increase by over 57% by 2022, to a $35.2 billion industry. We can currently see augmented reality in lots of industries, from healthcare, science, and education to construction, retail, and entertainment. The augmented technology is drastically changing businesses and promises to continue spreading to other industries. When it comes to virtual reality, companies like Google, Oculus, Sony, and HTC are shaping the future of VR. With a focus on better user experience and increased mobility, VR technology is conquering the market. It allows users to immerse into a virtual environment that can offer consumers a fundamentally new range of services. Of course, new head-mounted displays (HMDs) are heating up the interest in technology. The release of Oculus Rift in 2016 caused a mighty furore; Sony PlayStation’s VR wearable surpassed 1 million units sold; and more than 5 million Google Cardboard viewers were shipped since the first two years of platform’s inception. Numbers speak for themselves. A digital-focused market made personalized customer experience mandatory for businesses in 2017. And the latest technologies like VR and AR, blockchain, intelligent chatbots and data science were proven to deliver this vital level of business user functionality. So, if you’re eyeing a sector among these tech trends to start a business in or you’re already an entrepreneur, leveraging these technologies will allow you to reach the target customer/consumer in new effective ways.